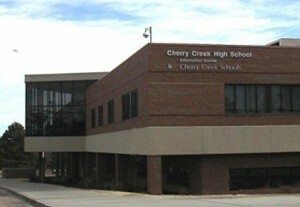 Cherry Creek School District, The Cherry Creek School District Board of Education is considering a major review of the district nutrition policy at its regular meeting on Monday. Cherry Creek Assistant Superintendent Scott Siegfried is scheduled to deliver the special report on diet and nutrition during the January 10 meeting. The presentation is less than a month after President Barack Obama signed the “Health, Hunger-Free Kids Act of 2010″ into law. Federal legislation is designed to increase access to healthy food for low-income children, and authorizing $ 4.5 billion in new funding for nutrition programs. According to Cherry Creek Executive Director of the Facility Rick Collier, Siegfried report will highlight the nutritional guidelines of the district and compare them to current requirements under federal law. Collier said that the debate would also be the potential increase in food prices for students who do not qualify for free meals or reduced. Monday’s meeting is also set to include a presentation from Assistant Superintendent Eric Flor on Thinking Maps, a new tool for teachers in the district. The meeting will begin at 7:00 p.m. at Cottonwood Creek Elementary School, 11200 E. Orchard Ave. in Englewood. Previous: American Renaissance Linked to Jared Loughner? Next: Verizon Iphone Announcement , How to follow live?